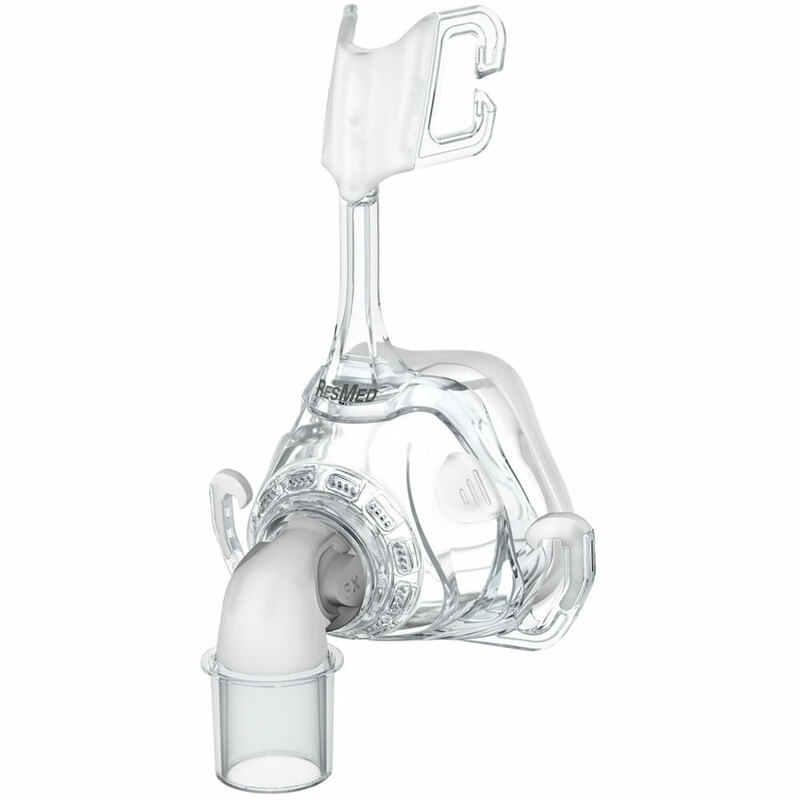 Frame System for the Mirage™ FX and Mirage™ FX for Her nasal mask. Frame system consists of the frame, elbow, and cushion. This design is a long time coming for CPAP masks. The squeeze-tab elbow makes connecting and disconnecting the hose to the mask a breeze. Just squeeze the sides of the elbow to release the hose. No more worrying about finding the right clips in the middle of the night.